Hamas and Islamic Jihad terrorist prisoners in Israeli institutions have been threatening a hunger strike throughout the week, but as of Wednesday night there were only a few dozen hunger-strikers, the Prisons Service said. But according to the Service, it appeared that many of those who claimed to not be eating were actually doing so surreptitiously. For the past three days, some 50 terrorists have returned their untouched meal trays to prison guards, but they appear to be eating, prison officials said. The estimation is based on the observation of guards, and security camera footage. The terrorists apparently hid food in their cells in preparation for the hunger-strike, the officials said. 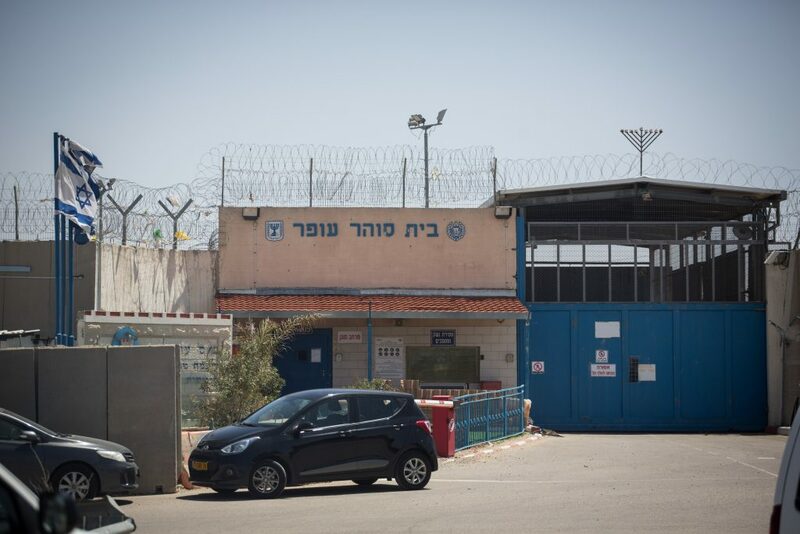 According to Channel 12, terrorists who proclaimed that they were on a hunger-strike have not been to other wings in the prison, as they usually are. Those who declare a hunger-strike are generally moved to prevent them from sneaking food while claiming they are on a hunger-strike, which they can continue claiming for many months for propaganda purposes. The alternative cells are also near the medical facilities in prisons, and they are under constant observation by medical staff. In this case, Channel 12 said, it appeared that prison officials preferred to ignore the cheating, as long as the claimed hunger-strike was being conducted by just a few terrorists. At issue are demands by the terrorists to ease conditions in their situation – with an emphasis on ending a new practice by the Prisons Service that blocks cellphone signals in prison cells. It should be noted that it is illegal for terrorists to have such phones in the first place. Leading the hunger strike are some of Israel’s most notorious terrorists, including Arman Mahamad, who is serving 35 life sentences for his involvement in the terror attack at Yerushalayim’s Café Moment in March 2002, in which 11 Israelis were killed and 54 wounded; Hassan Salamah, who is serving 84 life sentences for murdering 45 Israelis in twin bombing attacks on the Number 18 bus in Yerushalayim in February 1997; and Mamar Abu-Sheikh, serving 29 life sentences for involvement in the bombing of the Park Hotel in Netanya on Seder night in 2002, in which 30 Israelis were murdered. Commenting on the negotiations, right-wing attorney Itamar Ben-Gvir said Sunday that instead of trying to stop the hunger strike, Israel should allow the terrorists to starve themselves to death. “This is an opportunity to repair the damage done when these terrorists were sentenced to ‘summer camp’ in what are essentially Israeli hotels. Let them hunger-strike as much as they want, and under no circumstances should we force-feed them. Let them die if that is what they want,” he said.